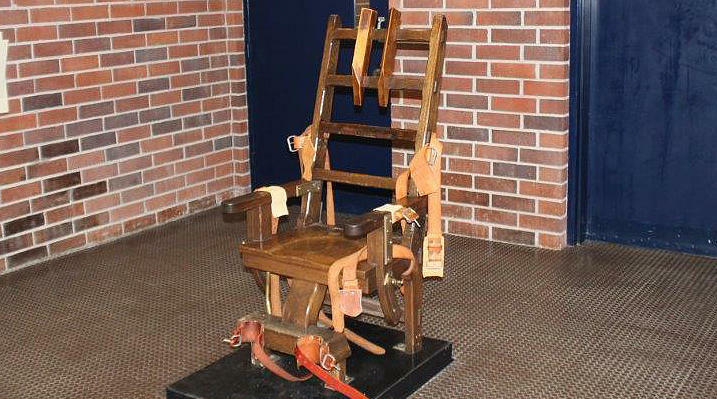 A law making its way through the state legislature would require the method of executing death row criminals to default to the electric chair in cases where lethal drugs are unavailable to the state. Credit Photo courtesy S.C. Department of Corrections. South Carolina has two methods of executing condemned criminals: lethal injection and electrocution. But because convicted prisoners are allowed to choose between them, almost all will choose lethal injection (the last electrocution in the state was in 2008). This presents a problem, according to Brian Stirling, director of the state Department of Corrections. The state has run out of the drugs used for lethal injections, and the manufacturers refuse to sell the state more for fear of backlash, because the state has no law to shield the companies’ names from public disclosure. Thus, if a prisoner on death row chooses lethal injection, the state would not be able to carry out the execution. This has not happened thus far, said Stirling, but the day could be coming. USC law professor Colin Miller said that’s largely the impetus for a law up for debate by the General Assembly. It would dictate that in cases where the state is unable to carry out a sentence of death by lethal injection, the default method of execution would be the electric chair. Though lethal injection is perceived to be a more humane, less painful method of execution, Miller said that’s not always the case, as there are examples nationally of botched executions by lethal injection. For this reason, he added, there’s a strong possibility that other states may also pass laws to default to electrocution as their lethal drugs run out or expire, or other means of execution become unpopular with the public.